Tags: A-line, Frock, Light Green, Party, Straight Trouser. Light green A-line sides down embroidered frock. Fully embroidered full sleeves. 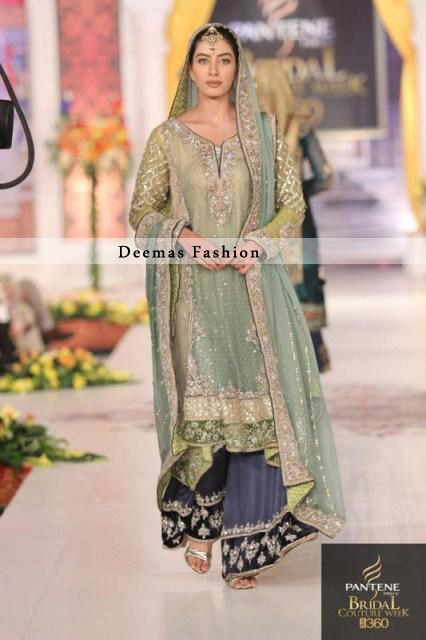 Dark blue sharara having embroidered border at hemline. Light green dupatta having for sided embroidered border.